Is smart energy synonymous with sustainable energy? You know that energy has an important role in urban sustainability. So how much do you know about smart grid? Do you think it is doing anything to make our cities more sustainable? I know about creating the business case for sustainability. 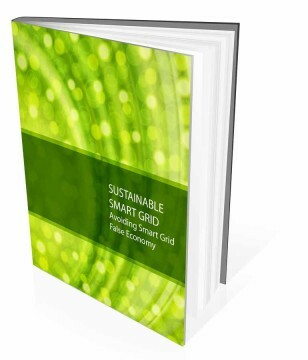 It turns out that the smart grid industry have written extensive reports on the topic. These have a strong focus on the mitigation of CO2 emissions. Yet something bothered me about these reports. There was something missing. What is the smart grid? Think of it this way. 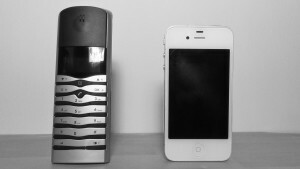 It’s like the difference between a telephone and a smart phone. It won’t just provide you energy, just like a smart phone doesn’t just make phone calls. 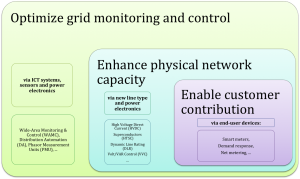 The smart grid affects each of the activities in the energy chain. The smart meter is by far the most noticeable and tangible difference to consumers. Yet the smart meter is just one end user device and is not a definitive component of the smart grid. Generation — the creation of electricity. Transmission — moving high-voltage power from generators through transmission lines. Distribution — where residential transformers convert power to the voltage running in homes. Retail — the metering, monitoring and measuring of power usage that results in a bill to the consumer from a utility company. Customer/Consumption — the end user experience with the power. The smart grid is big business. There are hundreds of smart grid projects, in R&D phase or demonstration and deployment. For example, the European Commission JRC lists 459 smart grid projects. There is a global map of 300 smart meter projects here. Who is going to enjoy the benefits of smart grid? Consumer benefits are a ‘work in progress’. Utility companies can see the benefits to their operations. But to understand their consumer’s needs they are creating programs to encourage dialogue. For example, they have learned to offer reduction in energy costs. Smart grid will also mitigate the production of CO2. This is important to a particular group of consumers. The savings in CO2 come from a more efficient prediction of power needs. Extra power is generated everyday because utilities can’t accurately predict or control energy demand. The smart grid will enhance both prediction and control. This will reduce buffer power generation, thus CO2 released into the atmosphere. Large-scale integration of renewable energy. The smart grid would be great at helping us transform our energy system to a renewable model. Yet, budget and number of projects focused on this are disappointingly small. Plus there are some considerable risks of moving to a smart grid system. There is no engagement with consumers about the risks. The sustainable business case reports also omit a discussion of the risks. Sustainability business cases for smart grid should include the costs of these risks. Industry guidelines confirm that including cost ‘externalities’ along with the benefits is necessary. This is a big component of what is missing. Including the costs and benefits to society will show us whether the smart grid will deliver us sustainable energy. Until then, the jury is out. Keep updated on blog and site news. Your email privacy is respected.